Hi, this is Olga, and I’m a guest from Ukraine on HI Cookery. 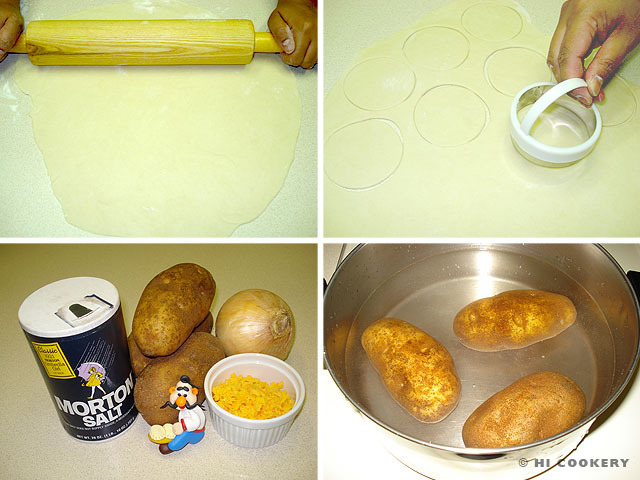 Today, October 8, is Pierogi Day and we are making traditional pierogis filled with potatoes and cheese. 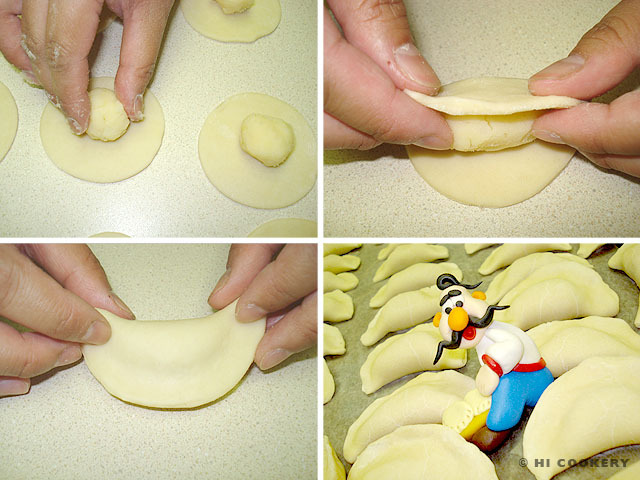 Pierogis are crescent-shaped dumplings made with a flour-based dough and stuffed with a variety of savory or sweet fillings. 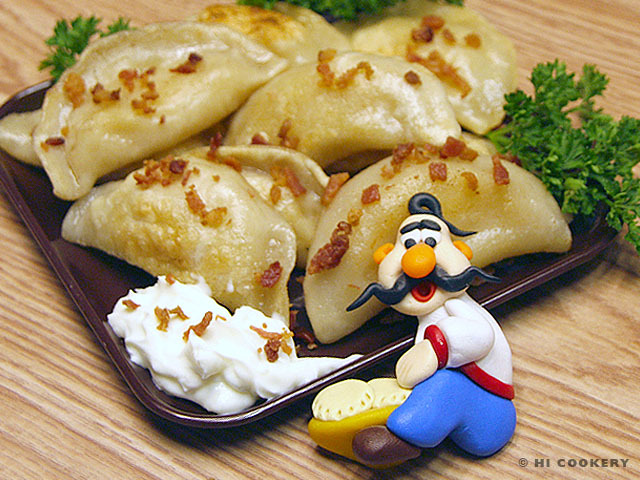 In Ukraine, pierogis stuffed with potatoes and cheese are called vareniki. Thank you (дуже дякую) for viewing our cooking tutorial. On behalf of Highlander, Islander and myself at HI Cookery, Happy Pierogi Day! 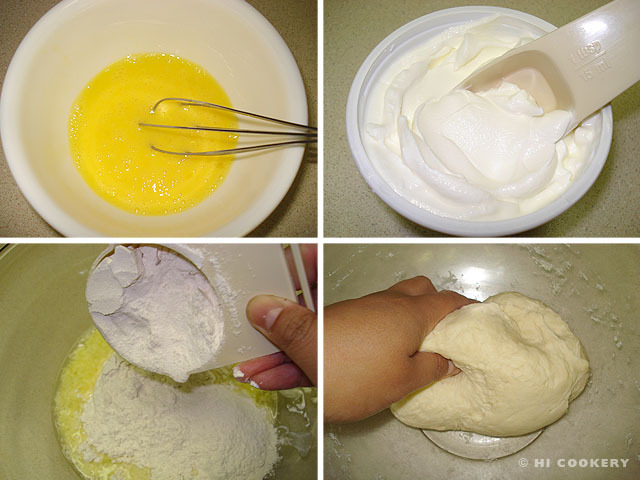 To make the dough, combine the egg, water, sour cream, salt and flour in a large bowl. Knead the ingredients until a stiff dough is formed. Let the dough rest in a covered bowl for 30 minutes. Roll out the dough about 1/8-inch thick on a floured surface. Then, using a 2-inch cookie cutter or glass rim, cut out the dough and set aside for the filling. 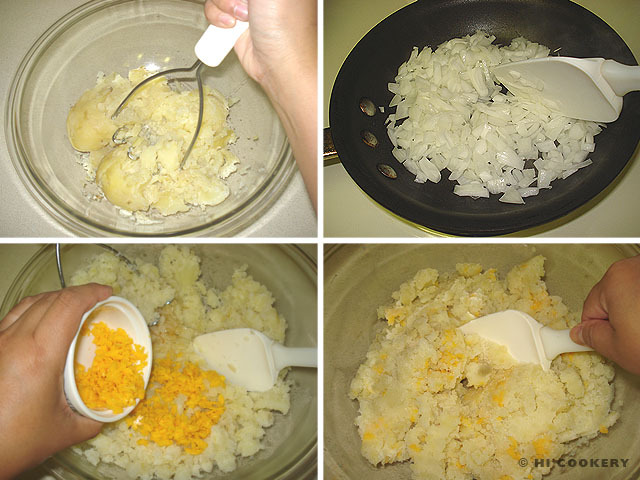 To make the filling, combine the mashed potatoes with the onions and cheese until smooth. Add salt to taste. Assemble the pierogis. On the center of the dough, place 1 teaspoon of filling. Fold over and pinch the edges shut. Use a little water to moisten and seal the pierogis. Continue to make all the pierogis. 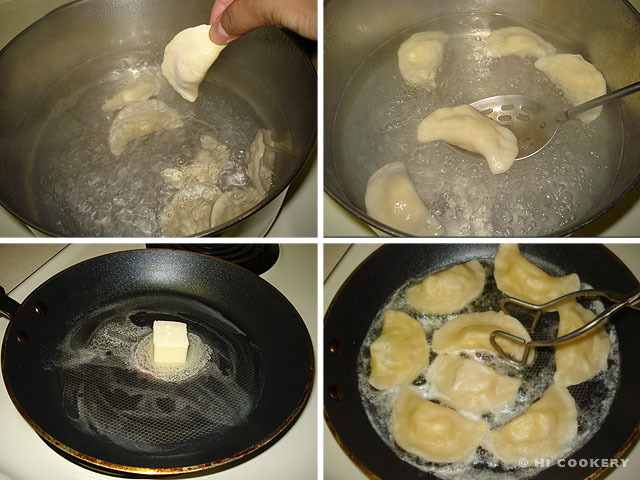 To cook the pierogis, boil them in a large pot of slightly salted water. They will float to the top when cooked. After boiling, brown both sides of the pierogi in a skillet with a little butter. Drain them on paper towels before serving. Serve the pierogis with a side of sour cream and crumbled bacon (optional). Yield: About 3 dozen pierogis. Please enable the audio setting on your computer to listen to our Ukrainian friend, Olga W., narrate this blog recipe post. We originally wanted to embed a video instead of audio but experienced technical difficulties during production, so we reverted to our usual photo tutorials. The uncooked pierogis may be saved in the freezer until they are ready for boiling. Thanks to Olga W. for the “pierogi man” clay magnet from her country—it is the perfect prop for the final food photo above!